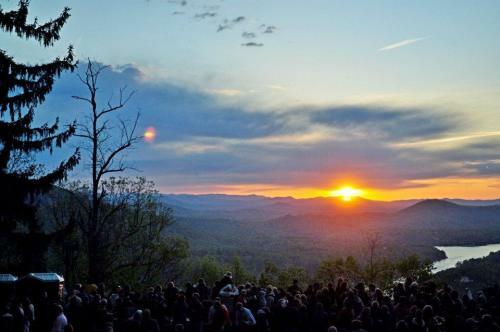 Celebrate Easter weekend with Asheville traditions, from sunrise services with stunning vistas to moving musical performances. This weekend also marks the beginning of a month-long celebration of the state&apos;s craft brewing scene, featuring tastings and events for the next four weeks at many of Asheville&apos;s 38 area breweries. Sunday (April 1), 7 a.m.
It’s a mountain tradition that dates back more than six decades and attracts people from all over the region. 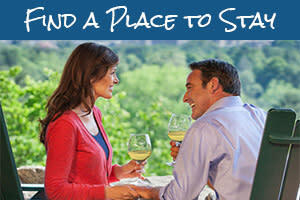 Celebrate Easter with a moving service in a magical setting at Chimney Rock State Park. 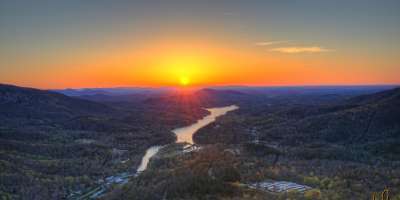 You’ll watch the sun rise over Lake Lure during this free, nondenominational event that will feature live music and an inspirational message. After the service, enjoy a breakfast buffet at the Old Rock Café in Chimney Rock Village and then return to the Park to enjoy free admission (must show sunrise service bulletin). The front gate opens at 5 a.m. for the 7 a.m. service. Due to the large number of guests who attend, no guests can be admitted through the gate after 6 a.m.
Saturday (March 31), 2-5 p.m.
Bring your family to downtown Asheville for the 9th annual Easter on the Green presented by Ingles on Saturday (March 31) from 2-5 p.m. The event is in Pack Square Park and is free to attend. There will be age-specific Easter egg hunts throughout the afternoon, as well as bouncy houses and other family-friendly activities. Children will also have the opportunity to meet, and take pictures with, the Easter Bunny! Try an Easter egg hunt in the treetops! 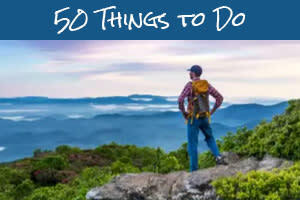 Complete any of the six Treetops Adventure courses or the Kids Zip course at the Adventure Center of Asheville to collect eggs and trade them in for sweet treats. This event is for children ages 4 and older and does require the purchase of an admission ticket. Experience the Treetop park at 9:15 a.m., 11:30 a.m. or 2:15 p.m. Kid-Zip runs every hour from 10 a.m. to 3 p.m. The Adventure Center of Asheville will be open for Spring Break every day of the week from Wednesday, March 28 through Sunday, April 22. Friday (March 30), 7 p.m.
To celebrate its one year anniversary in downtown Asheville, Well Played Board Game Café throws a party! As part of the celebration, Head Gamemaster, Tanner Johnson, releases his first game: Draft-a-Dragon. Johnson and the illustrator, William Ritter, will demo the game and provide copies for you to play. A special limited print of the game will be available for purchase. Well Played Board Game Café is a family-friendly lounge offering hundreds of games to play. While you play the games, enjoy a delicious menu of snacks and drinks. Sunday marks the beginning of North Carolina Beer Month! 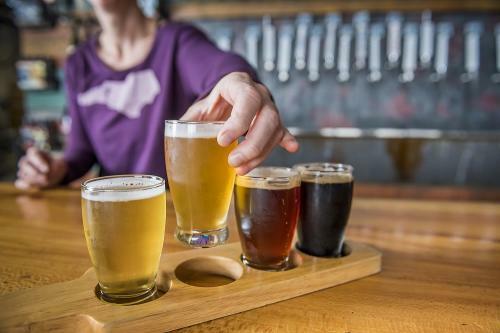 Many of the Asheville area’s 38 craft breweries take part in this month-long celebration of the state’s beer scene, which includes events, festivals, tastings and tours. Begin planning a “brew-cation” with a beer-themed travel package. Take a look at our guide to North Carolina Beer Month to learn more. Friday (March 30), 6 p.m.
Join two Asheville chefs as they partner to raise money for No Kid Hungry, an organization working to end childhood hunger through Chefs Cycle. Jacob Sessoms (Table) and Patrick O’Cain (Gan Shan Station) host a classic cookout Friday (March 30) at 6 p.m. at Tod’s Tasties (102 Montford Avenue). Following these events, Sessoms and O’Cain will embark on a 300-mile ride to raise funds and awareness. 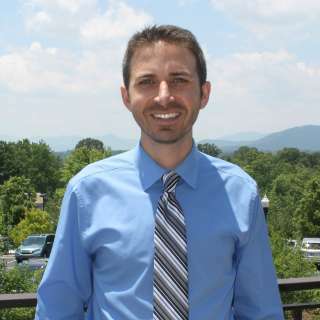 Asheville’s Aaron Price presents an Easter piano concert at the White Horse Black Mountain on Saturday, March 31 at 3 p.m. He has found inspiration in the hymnal, creating personal interpretations of well-loved sacred songs. The Assistant Principal Cellist of the Baltimore Symphony, Lachezar Kostov, and pianist Daniel Weiser lead AmiciMusic, a program highlighting great operatic music arranged for cello and piano. You can see them perform Friday at 7 p.m. at Isis Music Hall. And, you also can them perform on Sunday at 3 p.m. at the White Horse Black Mountain. Relive the iconic of music of Michael Jackson with the help of the longest-running Michael Jackson tribute band. Who’s Bad has been selling out venues with its celebration of the King of Pop’s music. See the show Friday at 9 p.m. at the Orange Peel. And, laugh with comedian and writer Jim Tews, the creator of the New York Times bestseller, Felines of New York. He’ll be at The Southern Kitchen and Bar on Saturday at 9 p.m. Dirty Grass Players – Original bluegrass and newgrass tunes. Friday (March 30), Pisgah Brewing Company, 8 p.m. Sister Ivy EP Release with guest Ghost Pipe Trio – Neo-soul, Jazz, R&B, and Rock fusion band. Friday (March 30), Isis Music Hall, 9 p.m. The Hall Sisters – Fresh country pop. Friday (March 30), White Horse Black Mountain, 8 p.m.
Emma’s Lounge with The Groove Orient – Space age folk wave band from Asheville. Saturday (March 31), Asheville Music Hall, 10 p.m.
Rainbow Kitten Surprise – Alternative/Indie band from Boone, N.C. Saturday (March 31), Orange Peel, 8 p.m.
Dwight and Nicole – Three piece blues/soul/rock band. Sunday (April 1), Isis Music Hall, 5:30 p.m.
Top photo by Chuck Hill. Chimney Rock photo by G.W. Weber Photography.